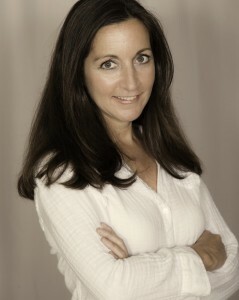 Amy Cortese is an award-winning journalist and author who has written extensively on crowdfunding. 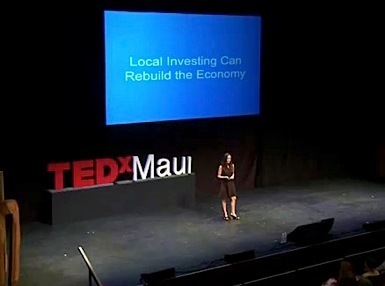 Her book, Locavesting: The Revolution in Local Investing and How to Profit from It addressed an early, growing trend of investing locally and she recently penned an article for the New York Times entitled “ The Crowdfunding Crowd is Anxious about recent developments in the crowdfunding sphere. I recently had a chance to ask Amy a few questions on the connection between local investing and crowdfunding. Why do you think investing in local communities is so important, and how are investors accessing local opportunities? Amy Cortese: At a macro level, small businesses are having a hard time obtaining the capital they need to grow and expand, and that is holding back an economic recovery, since small, young firms create the bulk of jobs in this country and drive innovation. But there’s a more intimate side to this as well: across the country, many communities are struggling. Their downtowns and Main Streets have chipped away by box-box stores, strip malls, e-commerce and globalization. And that affects tax revenues, home values and quality of life for many Americans. By investing locally, we can support the small businesses that create jobs and healthy local economies. And we can’t have a strong national economy without strong local economies. That said, it’s not that easy to find local investment opportunities. There’s no ‘local investment’ option to check on your 401(k) menu, for example. But there are ways people can put money to work locally today, through community development loan funds, LIONs and other investment clubs, direct public offerings, investments in cooperatives and more. And of course, when crowdfunding comes online sometime late this year, that will open up enormous new opportunities for investors, entrepreneurs and communities. I’m also hopeful that we’ll see local investment funds, or locally-focused mutual funds, cropping up. Can one expect the same or even better returns while investing locally as one would on Wall Street? AC: Well, that really depends upon the investment and the motivation behind it. There are many examples where people have invested in a beloved business for modest financial returns – like the Greenlight Bookstore here in Brooklyn, where two dozen people in the neighborhood lent a total of $70,000 to help the store open, in return for an average 3% interest rate plus a 30% discount on books for the life of the loan. Community development loan funds, another local option, typically pay CD-like rates. Invest in your local cooperative and you may get a 6% return. And other local investments might yield market rates or better. But that raises an interesting question: what is the market rate these days? Right now the stock market is up, or at least back to the its pre-Great Recession levels. But most experts have significantly lowered their expectations for market returns over time. The fact is, mainstream investors are looking at a choice between anemic savings rates and a freakishly volatile stock market. So, as an alternative investment class, local investments can provide a decent financial (and social) return and provide a buffer from the global stock market. In your opinion, what is the most important business to invest in while investing locally? AC:The best thing to invest in is the business you love and can’t see your community living without, or that fills a big need. These are likely to be the businesses that succeed and that add value to your community. 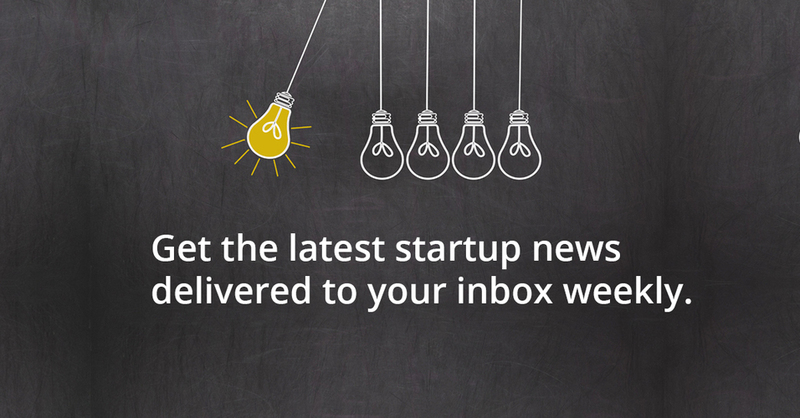 Explain how Crowdfunding works and how it can be used to drive a local community. AC: I like to think of crowdfunding as the marriage of social media and finance. It allows you to tap your social network —friends, family, customers, neighbors, or people who simply believe in what you do—to raise money, rather than going to an impersonal bank or to venture capitalists who are just looking for a quick exit. The best known crowdfunding examples today are donation and reward-based sites, like Kickstarter and Indiegogo, which let people contribute money in return for a perk or reward, but no financial return. I like to think of crowdfunding as the marriage of social media and finance. It allows you to tap your social network —friends, family, customers, neighbors, or people who simply believe in what you do—to raise money…Once a financial return is promised, it becomes a security, and then securities laws kick in. To date, those laws have prohibited ordinary (aka non-wealthy) investors from investing in private companies. But that changed with the signing of the JOBS Act last April. One provision of the JOBS Act opens the way for investment-style crowdfunding, so, instead of making a donation to a creative project as on Kickstarter, you’ll be able to invest in a small business. The SEC is still writing the rules that will govern crowdfunding, and until they do it is illegal [ed. : to market private investments to non-accredited investors]. But some crowdfunding startups have found ways to do limited crowdfunding today—CircleUp, for example, which I wrote about in my recent New York Times piece, accepts only accredited investors and has partnered with a broker-dealer. SoMoLend, out of Cincinnati, has signed up community banks, credit unions, and municipalities to make loans to small businesses on its site. By the way, one of the reasons that the SEC has been dragging its feet on the rule-writing is that the commissioners are concerned about investor protection and the potential for fraud. The JOBS Act includes some pretty good safeguards, it should be noted. For example, the amount that unaccredited investors can invest in crowdfunding in a given year is capped at $2,000, so no one’s going to be wiped out. But I think the best way to mitigate risk is to keep crowdfunding local, where there is more intimate knowledge of the market and the players. And I think we’ll see a lot of community-focused sites. I can’t emphasize enough how significant this is for the local investment movement: until the JOBS Act, it was easier for most people to invest in a company halfway around the world than one in their own backyard. So this will be a game-changer. AC: I think it can be. Warren Buffett and Peter Lynch have long advised “invest in what you know.” And what do you know better than the companies and entrepreneurs in your own backyard? The stock market and the global conglomerates that dominate it have become so complex that it’s hard for anyone to say they truly understand what’s going on in their portfolio. So yes, local investments can be risky, but the stock market is not? You have to think of this as an alternative asset class that you allocate just a portion of your investment funds to. As I said earlier, local investments can act as a buffer to the stock market and the global forces that create volatility (of course, you get some risk that comes with geographic concentration). And how do you measure the sense of pride and community that comes with being a local investor? Remember the Greenlight Bookstore example I mentioned? The investors are probably the bookstore’s very best customers. That was truly a win-win deal. Tell us a little bit about yourself and what attracted you to the crowdsourcing topic? AC: As a journalist and author that has covered a wide swath of the business landscape, I think I have a pretty good perspective on the issues facing entrepreneurs, investors and the economy in general. I covered high tech and Silicon Valley as an editor at Business Week in the 1990s, and more recently, as an independent journalist, have been writing about broader business, economic and social issues for publications including the New York Times. I also worked at Wit Capital briefly after leaving Business Week—it was an online startup that wanted to democratize investing, inspired by the founder’s own experience raising money for his microbrewery over the Internet. And in researching and promoting Locavesting, I’ve had the opportunity to talk to communities across the country about how they are responding to economic challenges by trying to channel more of their local capital to homegrown businesses and entrepreneurs, and to create the conditions for a vibrant local economy where innovation can thrive.